iBall is an Indian electronics manufacturer based out of Mumbai. They are primarily into tablets category, but over the years of their presence, they have expanded to various electronic categories, tele equipment is one of them. iBall routers have become quite popular in the market since their introduction. 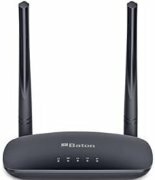 If you’re in the market look out for an affordable wireless broadband router. Then, this is a wireless router you should take a look at. If you already have a router, then, this router can work as a repeater, which could boost the existing wireless signals to every corner and nook of the floor. 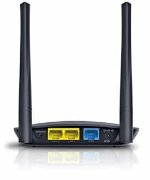 Complaint with latest IEEE standards, this iBall router is a good fit for users looking to purchase to connect their broadband. With a support for RJ45 port, it's easy to configure broadband internet through this port. So, how much would you be willing to pay for this router? 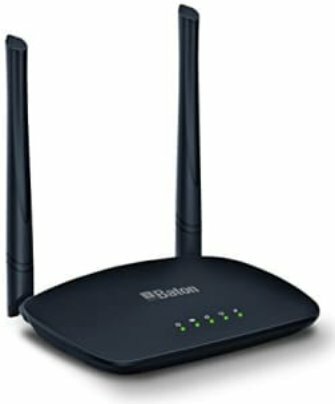 Well, if you look at the iBall router price, then, it is priced quite affordable at Rs 1,090.
iball iB-WRB302N 300M 2-Port Wireless-N Broadband Router full specs and reviews as of Apr 2019. Buy it here!